Volunteers are an integral part of our school and local communities everywhere. We really appreciate the tremendous impact that our volunteers have on much that we do at Woodend. It is therefore a wonderful thing that the state government has an official celebration, which is on the Queen’s Birthday public holiday, Monday 8 June 2015. Volunteers Day publically acknowledges and thanks the many volunteers across South Australia for their contribution to our community. At the State’s official celebration, there will be performances from the Adelaide Cabaret Festival program and the presentation of the State’s three highest volunteer awards. 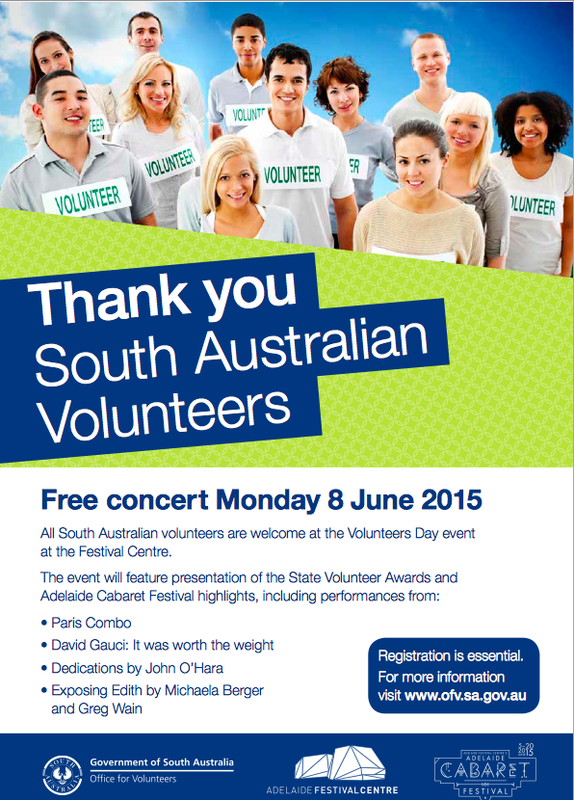 If you would like to attend this event please follow the link below to register online: http://www.ofv.sa.gov.au/volunteer-recognition/volunteers-day. Please note registration closes on 29 May 2015.